MacX Free DVD to M4V Converter for Mac is a distinctive Mac free DVD ripping software for you to convert DVD to M4V video on Mac OS X for Apple iPhone XS/XS Max/XR, iPhone X/8/7/7 Plus, iPhone SE/6S/6, iPad Pro/Air 2/mini 4, QuickTime player, iTunes etc. This free yet practical DVD to M4V converter is developed with profiles to offer convenient DVD to M4V conversion, and advanced users can edit the DVD ripped M4V videos, adjust video settings, add subtitles and do more. 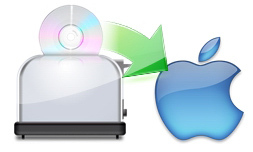 By applying the free Mac DVD decrypter to convert DVD to MOV format, you can remove any DVD copy protections, including CSS region protection, UOPs, APS and more. Step 1: Click "DVD Disc" button to add DVD from DVD drive. Or you can hit "DVD Path" to import DVD from DVD folder saved on your Mac. Step 2: Choose "M4V" as output format in this free DVD to QuickTime converter. You can also freely convert DVD to MP3, AAC, AC3 on Mac OS. Step 3: Click "Browse" to save output M4V files and click "RUN". Then, this free DVD to M4V Ripper will start to rip DVD to M4V free. It is a free DVD to M4V converter designed to freely convert DVD to M4V format on Mac OS (macOS High Sierra/Mojave all supported). This freeware can not only rip DVD video for computer, but also covnert DVD to M4V for portable devices. Besides M4V, this DVD to M4V software can also rip DVD to audio format like MP3, AAC, AC3 which enables you to use DVD video more conveniently. Among all the free DVD converters in market, only few support DVD copy protections, and MacX Free DVD to M4V Converter for Mac stands out with its constant upgrade to support the latest DVD copy protections, like CSS protection, Sony ArccOS, CSS region protection, UOPs, APS, etc. You can definitely convert any new DVD movies protected without problem. This free Mac DVD to M4V converter enjoys a super fast speed to copy DVD on Mac, since it's supported by multi-core CPU utility. Mac users are allowed to apply as many CPU cores as possible to achieve a fast possible conversion speed on Mac OS. The DVD ripper software for Mac is user-friendly and easy-to-use for both beginners and experienced users. With its intuitive interface, this Mac DVD to M4V converter provides default settings that only take users three clicks to freely rip DVD to M4V and advanced users can flexibly control the output quality by setting the video file size, video resolution, audio sample rate, etc. It can convert DVD to M4V with high quality due to its built-in High Quality Engine, the De-interlacing technology also assists to convert DVD to M4V and MP4 format with outstanding video and audio quality. This freeware can also extract audio out of DVD video and save it as MP3 format so that users can enjoy the music freely on media players and make their own audio album. Users can also select their favorite scene from the DVD video and take snapshot from DVD on Mac computers. 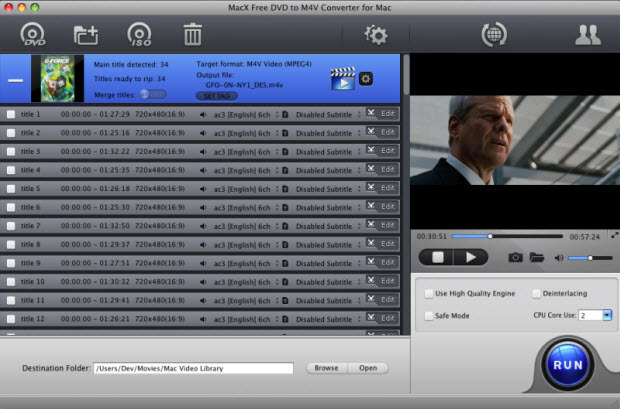 MacX Free DVD to M4V Converter for Mac offers you flexible feature to adjust the audio and video parameters to achieve any personal output effect. It also allows you to trim any video segment you like in the DVD to an appropriate size for your Apple devices so you do not need to worry about the storage space. I sourced the Iternet some days ago for a powerful and easy-to-use DVD to M4V converter and then I luckily found this product just the one I have been looking for. To convert a DVD to M4V is no longer difficult for me, and it can even rip the commercial DVD so that I can enjoy it with my iPhone, thanks for your free software. I really appreciate your effort for bringing this useful software to users like me for free. After I converted a chip of DVD video to M4V on my computer and synced it to my iPod for playback, my friends and I were all satisfied with the good quality that your product can offer, what is more, it did not cost me much time for the whole process. Thanks again. Download top free DVD converter for Mac to rip and convert copy protected DVD to MP4, MOV, M4V, MP3, etc. Follow the DVD to QuickTime rip tutorial to rip protected and homemade DVDs to M4V with no hassle. Best DVD ripper for macOS Sierra to free decrypt rip DVD to M4V, MOV, MP4, AVI, MKV, etc on macOS Sierra. 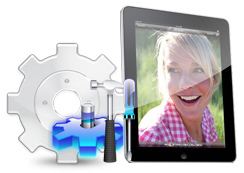 Best DVD ripper on Mac OS X, allowing you to rip DVDs to M4V for playback on QuickTime iPhone iPad etc. Want to back up & rip the latest copy-protected DVDs?